Amanda Brien has spent the last several years managing HPDC’s Technical Committee and numerous Technical Sub-Groups while providing operational and strategic support to the HPDC team. Amanda is experienced across many aspects of standards-setting and is specialized in technology focused committee management, tools, and membership. Laurie Fox joined HPDC in 2018 and manages the day-to-day operations of HPDC’s membership program, focusing on member retention and driving growth. She also oversees event and tradeshow logistics and manages several Technical Sub-Groups. Laurie has over 10 years’ experience working with member based organizations and has expertise in multiple areas of standards-setting including operations, technical committee management, and membership. John Geyer joined HPDC in May 2016. He facilitates the Manufacturing Advisory Panel (MAP) and Ecosystem Partners. He also has responsibility for HPDC information technology and the HPDC Builder application. Prior to his work with HPDC, Mr. Geyer has had 28 years of diverse industry experience as a senior project manager in various industries, ranging from aerospace manufacturing and construction to information systems and software development. His career has been driven by a desire to improve human productivity through the application of technology and systematic process improvement methodologies. He has consistently worked to bring together all members of a work team, from shop floor to executive management, with the belief that real solutions must reflect the knowledge, experience, and requirements of each stakeholder. His academic degrees are from Western Michigan University and the University of Virginia and he has extensive professional training in Project Management, Lean Manufacturing, and Quality Systems. He is a certified Project Management Professional and ISO 9001/AS9100 Lead Auditor. Tristan Roberts is responsible for leading staff support for HPDC’s Technical Committee, education programs, and the evolution of the HPD Open Standard. Mr. Roberts is a leader in the advancement of green building practices. Prior to joining HPDC in May 2018, he was part of BuildingGreen, Inc. for eleven years, where he most recently served as Chief Strategy Officer, moderating and leading the community development of LEEDuser forum which supports over 10,000 users. He is the author of hundreds of articles and in-depth reports on building industry trends and technologies, and is a frequent speaker and educator in the areas of green building and sustainable design. His objective stance and focus on practical tools has earned him the trust of a wide spectrum of stakeholders in the industry, including architects, sustainability professionals, manufacturers, and nonprofit groups. Mr. Roberts has taught sustainability and building science at the Boston Architectural College. Joel Ann Todd joined HPDC in May 2015 as Director, Technical and Education Programs. She now serves as Senior Advisor to HPDC. Prior to HPDC Ms. Todd has been involved in green buildings and sustainability issues for more than 25 years. She began her work on green buildings in 1989, directing preparation of materials reports for the American Institute of Architects’ Environmental Resource Guide for which she developed a streamlined life-cycle assessment methodology. She has volunteered with the U.S. Green Building Council since its early days, as Vice Chair of the Technical and Scientific Advisory Committee, as Vice Chair and Chair of the LEED Steering Committee, and currently as Co-Chair of the Social Equity Working Group. Joel has published technical papers as well as articles for lay audiences and has been an invited speaker at conferences around the world. She was a co-author of the recent USGBC publication, Better Building Materials: Understanding Human Health and Environmental Attributes. She currently serves as a peer reviewer for Building Research and Information and has served on Scientific Committees for several international conferences. Joel has also developed education and training programs on green buildings, sustainability, life-cycle assessment, LEED, and other topics and serves as a Pro-Reviewer for USGBC’s education program. Wendy Vittori joined the Health Product Declaration Collaborative as Executive Director in May 2015. An accomplished business executive, Ms. Vittori most recently was founder and principal consultant of Vittori Consulting LLC, which provides executive counsel on innovative approaches for strategic management and organization performance to organizations in the private, public and non-profit sectors. In this capacity she was engaged with the HPDC as a strategic advisor from its inception. Ms. Vittori was a recipient of the Women in Sustainability Leadership Award in 2017. Previously she was a senior executive with both the Intel and Motorola corporations, where she led a variety of businesses in the computer hardware, software and systems industry, and was engaged in the leadership of open industry standards. She began her career as a software engineer. 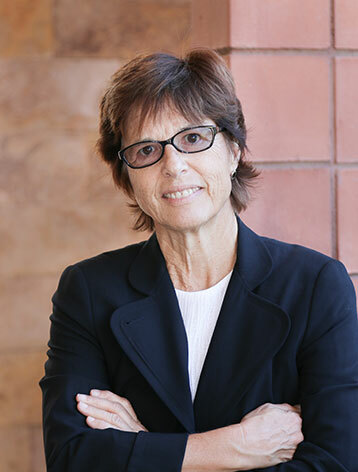 She serves on several non-profit boards, focused on the economic development of the Arizona-Sonora region, and is an associate faculty member at the Non-Profit Management Institute of the ASU Lodestar Center for Philanthropy and Nonprofit Innovation. Ms. Vittori is a graduate of Harvard College, received her MBA from Northeastern University and was a doctoral candidate at the Harvard Business School.